More Nova Scotians support selling cannabis in Nova Scotia Liquor Corporation stores than oppose it. However that support, polled by MQO Research, doesn’t make for a clear majority. According to the numbers released Wednesday 40 per cent of this province’s residents support or strongly support the McNeil government’s move to sell legal pot from liquor stores while 34 per cent oppose or strongly oppose it. Twenty-one per cent of the 400 people polled by MQO this summer neither support nor oppose the move and five per cent said they didn’t know. Nova Scotia is only the province that will be selling pot from its liquor stores when it becomes legal on Oct. 17. The decision to sell from eleven NSLC outlets goes against the recommendation of the federal task force on cannabis legalization and regulation that said there should be no co-location of alcohol and cannabis sales to avoid encouraging people from buying both at the same time. It also went against the wishes of NSLC boss Bret Mitchell. “This fundamentally will change the NSLC and our customer promise and in-store experience,” Tim Pellerin, senior vice president and chief operating officer at the NSLC, wrote in an email to vendors last December. - Do you support the sale legalized cannabis in NSLC stores? 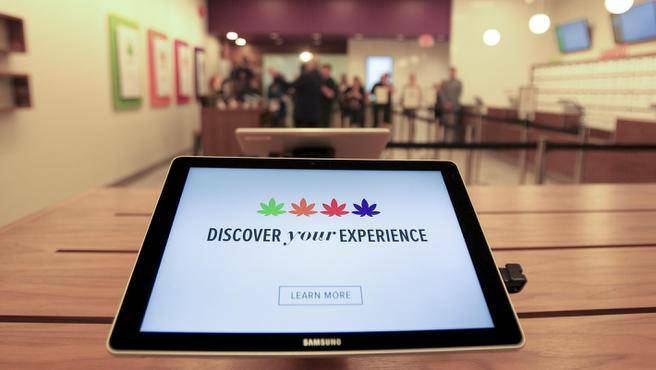 - Does selling cannabis make the NSLC more or less socially responsible? Thirty two per cent of respondents said they believed the move made NSLC more socially responsible, 14 per cent said it made them less responsible, 45 per cent said it had no impact and nine per cent said they didn’t know. “This is a historic moment,” said Stephen Moore, vice-president of MQO Research on Wednesday. The study further broke down support along gender and political lines. Forty-five per cent of men support the sale from NSLC stores compared to 36 per cent of women. Forty-nine per cent of Liberal voters support the decision compared to 29 per cent of Progressive Conservative voters. MQO does polling for customers and adds certain questions of its own to its research that it releases for free. “No one paid for these questions,” said Moore. The poll was conducted by telephone from July 16 to July 26 and included 400 randomly selected eligible voters from across the province. The margin of error for the total sample is plus or minus 4.9 percentage points 19 times out of 20.